September is just around the corner, which means it’s time once again to gear up with the hottest new essentials for back-to-school. Now that your kids and grandkids are leaving the nest, give your teens what they need to spruce up their new life in college. Whether your child is going into their freshman year or starting graduate school, we have a list of recommended school supplies for their dorm or apartment. 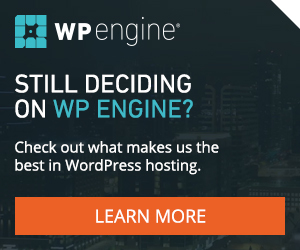 Why not consider Dashlane as a back-to-school gift for your college student? 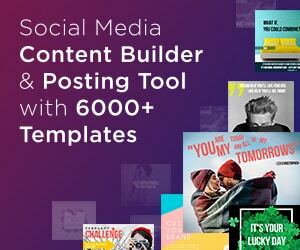 This year, subscription gifts are big and there are a number of options available that will help set students (and moms & dads!) on a path to success. Dashlane ensures that your critical information stays safe online and across devices (especially mobile, which is increasingly important with more and more students spending time on their phone). Most people today can be spending 8-10 hours a day on their phone, so it’s important that they protect their information and identity. With both a free and premium product, Dashlane Premium is a steal at $39.99/year. This easy to install app works across every device to keep your identity safe (in fact, it was named a Best Identity Theft Prevention Tool). One of www.naturalvitalitykids.com’s award-winning products that would make a great fit for your back-to-school student is called: “Kids Natural Calm Multi.” This product has been awarded Delicious Living Best Supplement Award and A Taste For Life Best Supplement Award and is also Mommy MD’s Recommended. Children deserve the best. Good nutrition is a cornerstone of good health and vital for proper development. The objective in creating Kids Natural Calm Multi was to combine the beneficial effects of magnesium with a comprehensive premium multi to provide children with key nutrients missing from their diets. This product is for 4-13 year olds. 4-8 year olds take a 1/2 capful and 9-13 take a full capful. With summer travel and back-to-school season right around the corner (yes, it’s hard to believe), it is a great time to think about ways to stay healthy, and hand hygiene is one of the most important measures we can all take to help reduce the spread of germs that can make us ill.
PURELL products are perfect for practicing good hand hygiene when soap and water are not available. PURELL® Advanced Hand Sanitizer in convenient JELLY WRAP™ Carriers and New PURELL® Advanced Hand Sanitizer Naturals make practicing good hand hygiene easy. Plus, they are perfect to have in your backpacks, lunchboxes and travel bags. The HartFelt 360 Toothbrush is the perfect tool for elementary, high school and college students to keep their teeth squeaky clean even during rushed morning routines. 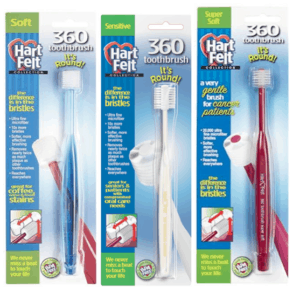 HartFelt recently launched a new line of 360 Toothbrushes. Each 360 Toothbrush features the revolutionary circular bristle disk design. Developed in the Osaka University Dental Hospital of Japan, the 360 Toothbrush has unparalleled cleaning power thanks to over 10,000 micro fine bristles—10 times more than the average toothbrush. The rounded-tip bristles clean and remove more than twice the amount of plaque than conventional one-sided toothbrushes, even with water alone. Also available as Sensitive for seniors and users with compromised oral needs and Super Soft for can patients. SoCozy is a line of salon-quality children’s hair care products aimed at moms looking for a line that’s not too juvenile, and is free of harmful chemicals (the formulas have no parabens, sulfates, phthalates, synthetic color and propylene glycol, and are also free of gluten, wheat and nuts). The products are fun and all boast multi-functional use, so parents now have a go-to that gets the job done in a snap with great results every time. 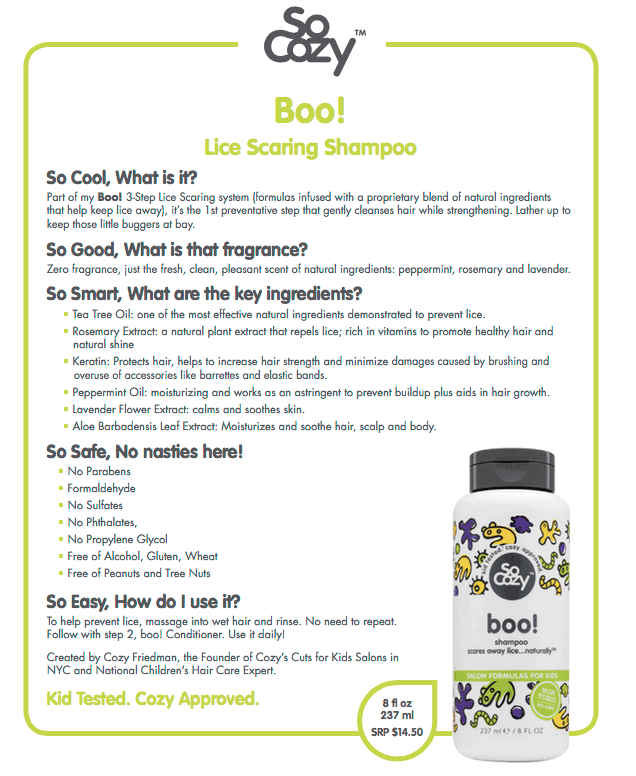 SoCozy’s Cinch collection or its lice scaring Boo! 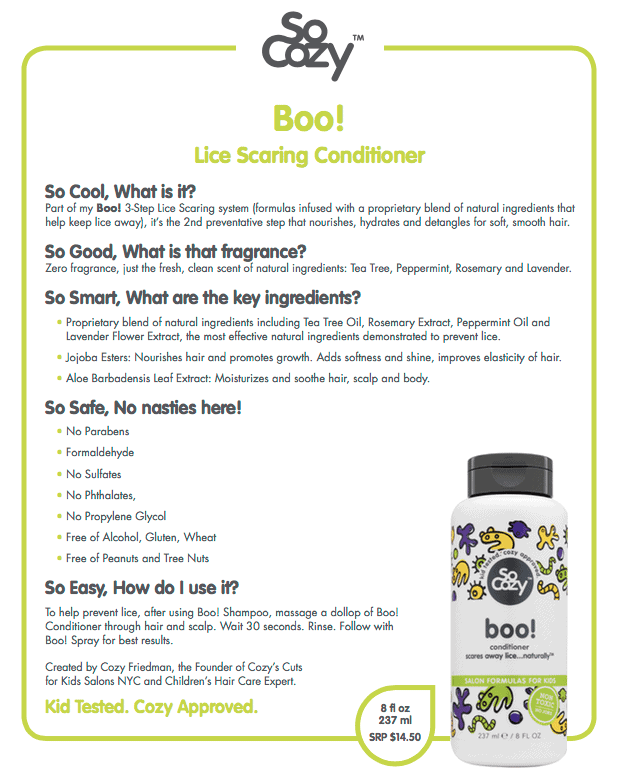 collection—Lice Scaring Shampoo, Lice Scaring Conditioner, Lice Scaring Leave-In Spray, would be perfect for Back To School! Looking for a back-to-school gift that the whole family will appreciate? Give the gift of health to your loved ones with Genestra Brands HMF Fit for School probiotic formula. We send our kids to school to learn, interact, and gain new experiences but along with that can come germs and sickness. It’s been shown that children who took HMF Fit for School for 6 months had 33% less incidence of upper respiratory tract infection (URTI), a significant decrease in the number of days with URTI symptoms, and a 30% decrease in school absenteeism. To ensure your student’s success ask your healthcare provider about ordering Genestra HMF Fit for School for your kids. Available through your healthcare provider. Greg Kaplan is a college admissions strategist and author of Earning Admission: Real Strategies for Getting into Highly Selective Colleges (available now on Amazon and major retailers). In his guide for parents, Kaplan analyzes every component of the college application process, from the high school transcript to the major an applicant designates, and explains how to maximize an applicant’s value through it. From taking advantage of gender imbalances in certain majors, to writing personal statements that demonstrate promise and perspective, Earning Admission leaves no stone unturned for standing out in the application process. Greg Kaplan is a college application strategist and author of Earning Admission: Real Strategies for Getting into Highly Selective Colleges. Kaplan focuses on empowering families to develop their children’s high value skills, interests, and passions and market the value they would bring to colleges. Kaplan is a graduate of the University of Pennsylvania Wharton School of Business and UC Irvine School of Law. See www.earningadmission.com for more information. Sneaky Chef® No-Nut Butter is an award-winning delicious nut-butter alternative made from naturally sweet and “nutty” tasting golden peas, but without a trace of peanuts, tree nuts, seeds, or soy. That’s right, GOLDEN PEAS! That means it’s made from pea protein – the high quality, plant-based protein source that is getting tons of nutrition buzz these days. 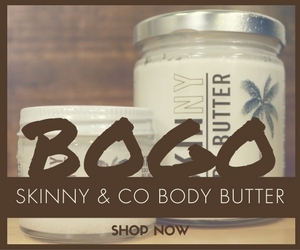 Sneaky Chef No-Nut Butters are produced in a nut-free facility and are all natural, gluten-free and contain no high fructose corn syrup, no hydrogenated oils and no artificial colors or flavors. Sneaky Chef No-Nut Butter is available in two varieties, Smooth and Chocolate – both available in 18 ounce jars and Smooth in these convenient grab-and-go cups. Sneaky Chef No-Nut Butter is an indulgent peanut butter alternative that is so good, everyone will love it, allergies or not! Sneaky Chef if also thrilled to share that we’ve partnered with Annie’s Homegrown to develop Pea B&J Pockets made with golden pea butter! Like our Sneaky Chef No-Nut Butter jars, Annie’s Pea B&J Pockets are available at Target Stores. You’ll find them in the freezer aisle. Inspired by flavors from around the world, Spiced & Infused marries the whole grain goodness of popcorn with real herbs and spices and other pure ingredients to create delicious flavors that take you on a culinary adventure. The unique and delicious herbs and spices used in Spiced & Infused popcorn are known not only for their flavor, but also for their known health benefits, and provide delicious taste with less calories and fat than many other flavored popcorn options. Available in four delicious flavors – Bombay Seasoning, Chipotle Taco, Asian Barbecue, and French Herb, Spiced & Infused popcorn is a great snacking option for the whole family and is perfect for snacks, in lunchboxes, at parties or to take movie night to a whole new level. Created from one of nature’s most universally-loved fruits, the banana, BANANA WAVE bananamilk is a delicious, creamy and nutrient-filled new option. Derived from an ancient African recipe that has been passed down from generation to generation and first introduced to Fresh Start Beverage founder, Neter Alkebulan, by his own Grandmother, BANANA WAVE bananamilk begins with a universally loved fruit that is a staple in most households – bananas. In fact, because BANANA WAVE bananamilk begins with pure banana puree, one serving contains as much potassium as a small banana, 330 mg, and also contains 29 vitamins and minerals and 1200 mg of Omega-3s per serving. BANANA WAVE bananamilk is vegan, all natural, dairy, gluten and GMO free. BANANA WAVE bananamilk contains three of nature’s “superfoods” – fruit, grains and seeds – making it a nutritious option for anyone with an on-the-go lifestyle, active kids, athletes, and of course, banana lovers. It is also an ideal option for vegans, vegetarians, those managing a dairy or nut allergy or for anyone looking for a nutritious alternative milk beverage. Delicious and refreshing on its own as a snack or meal replacement, BANANA WAVE bananamilk is also perfect for smoothies, on cereal or for use in cooking and baking. Warning! Laughter May Be Contagious. At He’s All Boy, their goal is to engage boys and girls in the learning process through laughter and play. 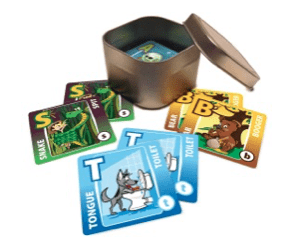 By tapping into a boy’s unique and often gross sense of humor we are capturing their attention and providing tools to help them focus on learning while having silly fun! 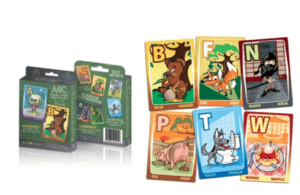 This ABC Flash Cards, Memory Matching Game and board books jump outside of the box and land in the imaginative and often stinky world of little boys and girls. Where Does the Fox Fart? What Does the Dog Lick? Back to school shopping can be stressful and packing a nutritious lunch can be even more challenging. Help kids learn to skip the soda by opting for Sparkling Ice’s 8oz. Slim Cans. Your picky young eaters won’t notice the difference! Sparkling Ice combines sparkling water, natural flavors, fruit juice, vitamins and antioxidants to offer a healthier alternative to drinks with high sugar content. 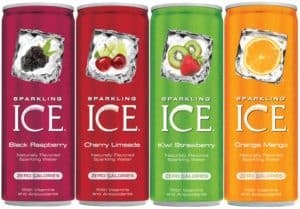 Featuring four mouthwatering flavors: Black Raspberry, Orange Mango, Cherry Limeade and Kiwi Strawberry, Sparkling Ice retails for $5.99 per 8ct fridge packs. 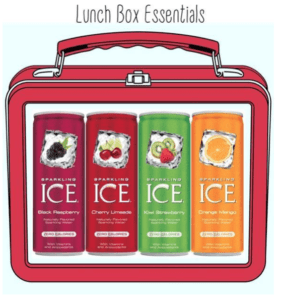 The slim and compact size will easily fit into most standard lunch boxes/bags. Transform these drinks into delicious afternoon snacks. Try the Coconut Lime Almond Bites—the chocolate chips will satisfy their sweet tooth, while the Sparkling Ice’s zesty Lemon Lime combined with almonds will offer just the right amount of energy and concentration to tackle their homework. Trying to manage a career, marriage, children, and still find time for yourself can leave you searching for balance. Happiness can get lost in the shuffle. Doug Kisgen – a serial entrepreneur and married father of 5 – has solutions to finding this balance in his new book, RETHINK HAPPY: An Entrepreneur’s Journey Toward Authentic Joy, (Morgan James Publishing, June 2016, Trade Paper, 198 pages, $16.95, ISBN: 978-1-63047-734-9). Rethink Happy is a parable that follows as a small business owner, struggling both at work and at home, as he finds the secrets to success. The story teaches readers how to turn their lives around in every way. Kisgen is also a licensee for a unique program called Culture Index. His company, Kisgen Group, works with entrepreneurs and executives to help them get what they want through the use of a short survey that validly measures seven work-related traits. His former company Daydream Senior Care, dba Home Instead Senior Care, was a two-time Inc. 5000 fastest-growing company when he sold it. Doug formed his first corporation right out of college in 1991. Since then, he has built several businesses while also remaining an accomplished musician, songwriter and actor. Kisgen has been an EO member since 2010 and has held the positions of Launch Champion and President for EO KC as well as West Central Area Director. He also graduated in 2013 from the EO-sponsored Entrepreneurial Masters Program (EMP) hosted by MIT. He has been married for over two decades and is raising five children with his wife in the hill country of San Antonio, Texas. Kisgen and his wife also were certified family-teachers at Boys Town, living with eight-at-risk boys and helped them achieve the highest GPAs in their community three semesters in a row. 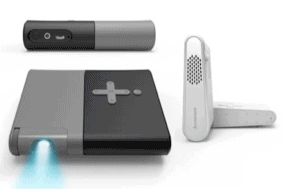 Mohu’s newest TV gadget — the ReLeaf — for the college-bound student. ReLeaf is the TV industry’s first eco-friendly OTA antenna made from discarded cable set-top boxes and post-consumer recycled paper. The ReLeaf HDTV antenna offer unlimited access to free, over-the-air (OTA) broadcast TV (including ABC, NBC,CBS, FOX, etc) for a budget friendly, one-time fee. One pound of plastic from cable set-top boxes can make parts for 40 Mohu TV antennas. Consumers admit to wasting more than $1,200 a year on cable bills, and the majority (54%) have considered cutting the cord on cable. Electronics like cable set-top boxes are the fastest-growing portion, accounting for between 10 and 30 percent of the materials that recycling facilities received. You can watch your favorite shows in HD without having to pay the costly average of $99.10 per month for cable or satellite subscription. For the average yearly fee of over $231 per year just to rent a cable box, you could buy yourself and 10 friends free TV for life with the Mohu ReLeaf antenna! 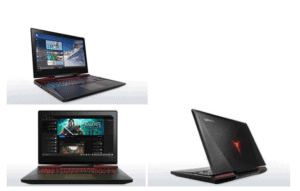 MORE: Additional product specs can be found here. Greg Kaplan is a college admissions strategist and the author of Earning Admission: Real Strategies for Getting into Highly Selective Colleges (available now on Amazon and major retailers). In his guide for parents, Kaplan analyzes every component of the college application process, from the high school transcript to the major an applicant designates, and explains how to maximize an applicant’s value through it. From taking advantage of gender imbalances in certain majors, to writing personal statements that demonstrate promise and perspective, Earning Admission leaves no stone unturned for standing out in the application process.